This Dad Is All Into It! 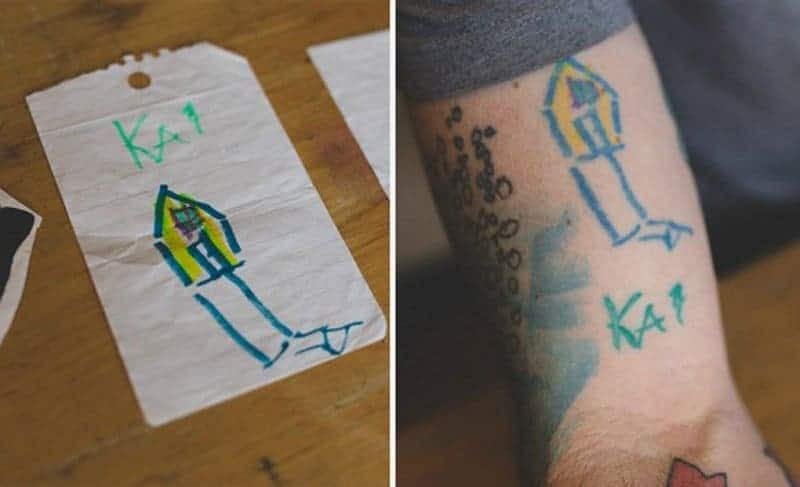 This picture is from a gentleman who has had a tattoo put on his right arm of a drawing by his kid every year since his son turned 4. When asked what he’d do when he starts to run out of room, he responds that he’ll just ask his son to draw something smaller. This man only needs to look at the inside of his arm to remember he is loved. Another mysterious drawing by a little kid. Is it a martian? Is it an astronaut? 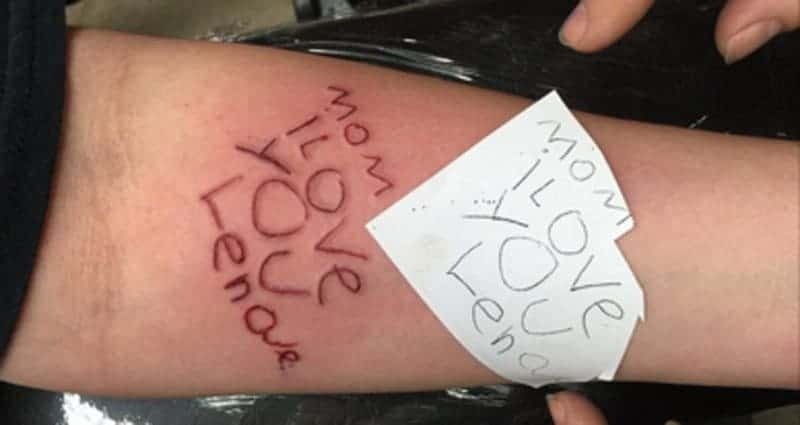 I’m sure this parent will remember this for the rest of their lives. 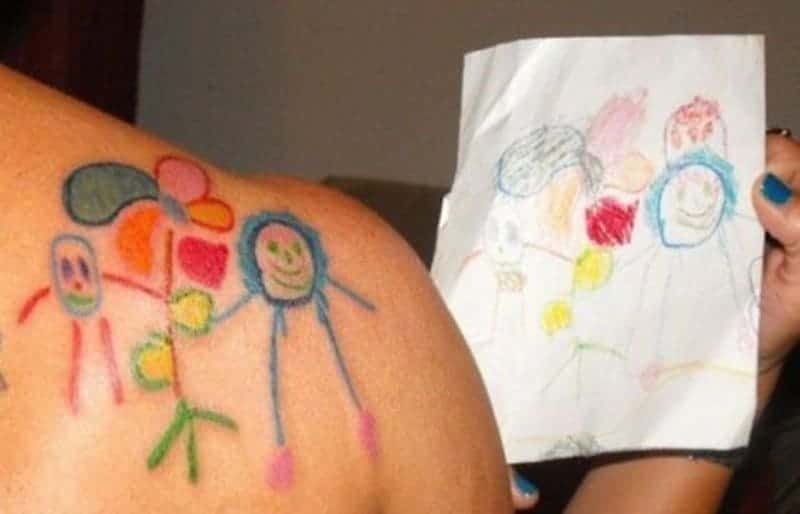 Between some classic tattoos of angel wings, this parent put the unusual tattoo designed by their little one. 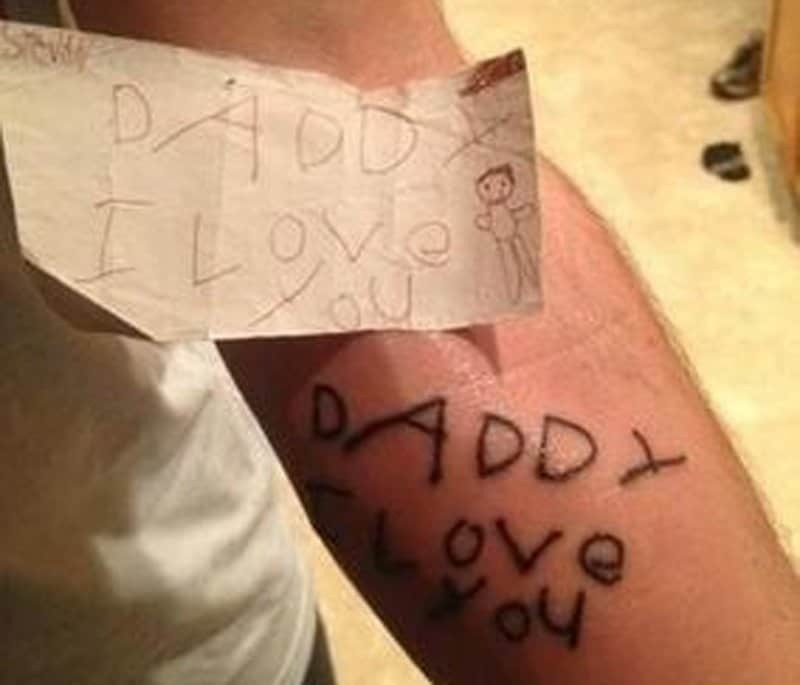 Dads are not the only ones who need a reminder that they are loved. 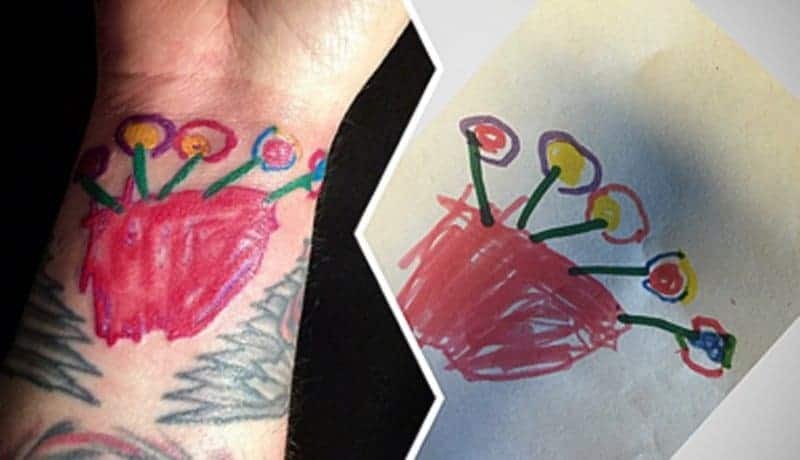 This mom, too, can look at the inside of her arm to remind herself of how loved she is. As well as how adorable her child once was. One can only assume that this colorful, cheerful picture depicts the child and his mother hanging out next to a gigantic flower. At the age of 4, only the signature belongs to the child. The drawings were added to the piece to highlight the child’s favorite things. This brave Mama had flowers and signatures of all her kids placed on her foot. 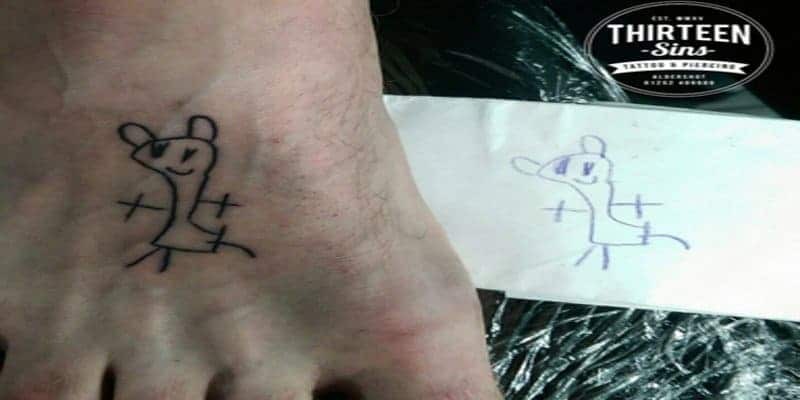 The foot, by the way, is one of the most painful places to get a tattoo.